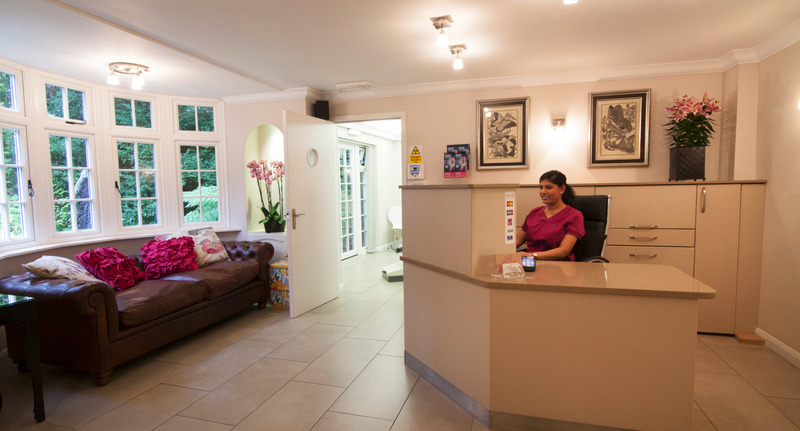 At Glebe House Dental Care we welcome children of all ages and recommend that children should go to the dentist with their parents as soon as possible, but certainly no later than the age of 3. You should take them regularly ideally at least every 6 months or more often if your dentist recommends it. It will allow children to get used to the noises, smells and surroundings of a dental surgery and the team which will help alleviate any anxiety they may have. At Glebe House we do our utmost to make dental check-ups a positive and fun experience for children and we explain everything we do in a language appropriate to the child’s age. 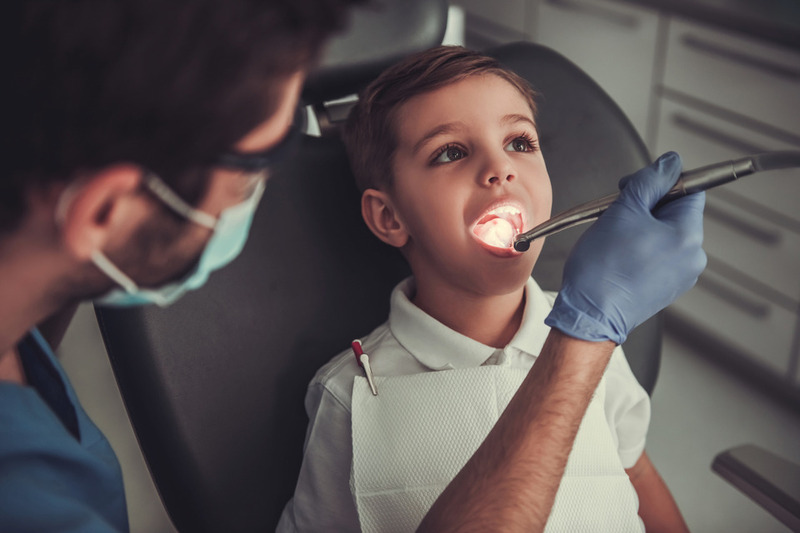 Regular visits to the dental team are also important as it will allow us to provide you with bespoke advice and a treatment plan for your child’s teeth and gums. It will allow us to identify potential problems early on and take preventative action where necessary. Fissure sealants are tooth coloured plastic coatings usually applied to the chewing surface of back teeth. These surfaces are pitted and grooved and if these are particularly deep, they can be difficult to clean and therefore it is where decay occurs most often in children. Fissure sealants form a smooth protective barrier by covering the pits and grooves. It has been very well researched and provides a significant reduction in pit and fissure decay. Sealing teeth is also quick and pain free. Fluoride is a natural mineral that is found in many foods and in all drinking water and tooth paste. The amount of fluoride in water varies from area to area. It is beneficial in helping to prevent tooth decay by strengthening tooth enamel and reducing the ability of plaque bacteria to produce acid. It is this acid that causes tooth decay. When children are at higher risk of developing decay for example due to developmental abnormalities of their enamel, we recommend 3 or 6 monthly professional application of a fluoride gel to help to protect against decay. During regular check-ups we will be able to spot these problems early on and refer in a timely manner. Early orthodontic treatment may prevent or intercept more serious problems from developing and may make treatment at a later stage shorter and less complicated. 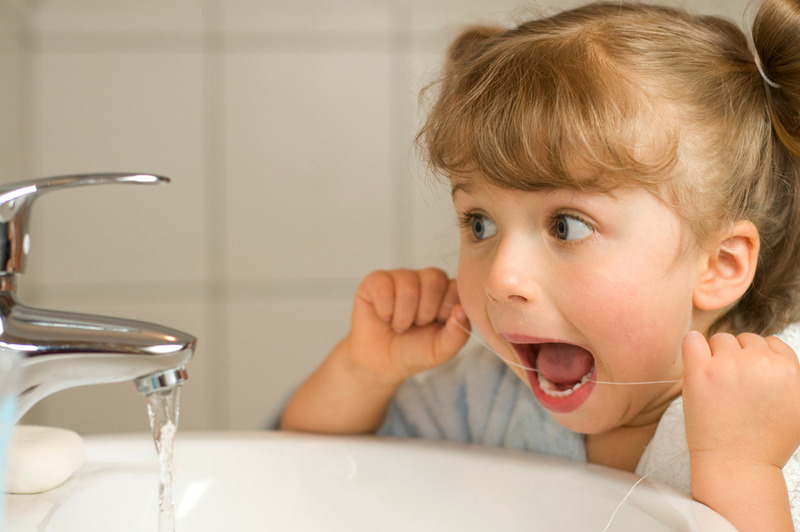 We provide hygiene appointments tailor made to your child’s needs and age. The most important part of the hygiene appointment is the advice we will give to you and your child on how to look after their teeth. It is how we care for our teeth at home every day that will ultimately make all the difference when it comes to healthy teeth and gums. So when should I brush my child's teeth? 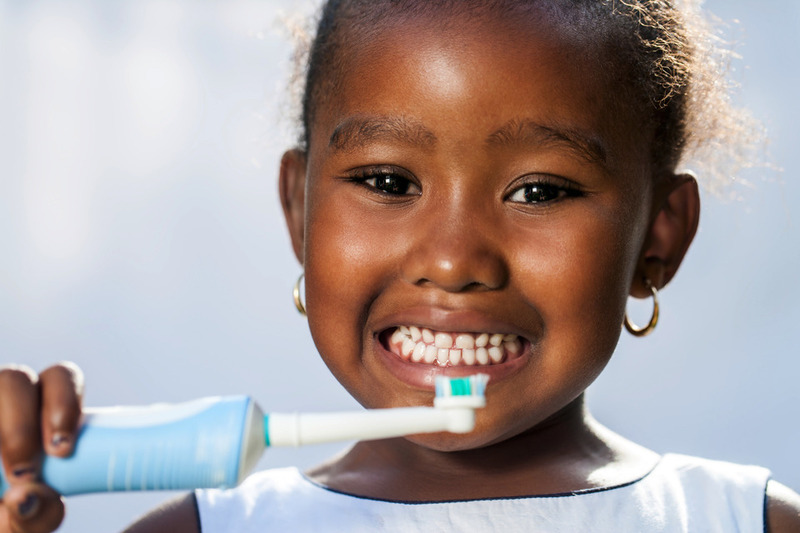 Children should brush twice a day with a fluoride toothpaste, always before bedtime and on one other occasion. Tooth brushing removes plaque from the teeth surfaces and fluoride helps to keep teeth strong and helps fight tooth decay. Start brushing when the first tooth appears. For ages 0-2 use a smear of toothpaste containing at least 1000ppm (part per million) fluoride. For 6 years + use an adult tooth paste or children’s toothpaste containing between 1300ppm and 1500ppm fluoride. Use a small pea sized amount to brush half of their teeth, let them spit and then use another small pea sized amount to brush the other half of their teeth and spit again. For all children and adults: SPIT out the toothpaste BUT DO NOT RINSE. This allows a very small amount of toothpaste to remain on the teeth surfaces which means that they will be giving their teeth a little mini fluoride treatment every time they brush! What toothbrush should my child use? The right toothbrush can help to get your child excited about brushing. It is important to use an age appropriate brush. Until when should I supervise when my child is brushing? At Glebe House we recommend that parents should help until the age of 9, but some children may still need some supervision into their early teens. It will be worth it, trust us! The main cause of tooth decay is sugar in the diet. It is not only the amount of sugar that is important but also how often it is eaten or drunk. The more often your child has sugary foods or drinks, the more likely they are to have decay. It is important to have sugary foods ideally just at mealtimes. If you want to give your child a snack, try to stick to cheese, vegetables and fruit. Try to limit how much dried fruit (particularly raisons) you give as it is high in sugar. It is also worth remembering that some processed baby foods contain quite a lot of sugar. Try checking the list of ingredients: the higher up the list sugar is, the more there is in the product. Generally anything ending in ‘ose' is a sugar, for example: fructose, glucose, lactose or sucrose. If your child needs to take any medication, please remember to check with your doctor or pharmacist that you are being prescribed sugar-free medicines at all times. After the age of one, introduce a golden hour before bed when your child has nothing to eat or drink except for water. Their teeth should be brushed just before they go to bed so the last thing in the mouth is fluoride toothpaste.